A cooling mattress topper aims at providing additional comfort to sleepers who are not satisfied with the comfort level of their mattress. Toppers are designed differently, and some can be placed on the mattress whereas some are tucked in beneath the sheets. Different types of toppers are available in the market including wool, latex, memory foam and feather models; they each vary according to their characteristics, price, and availability. This article will focus on some best cooling mattress topper, their pros and cons, features and the buying guide to grabbing a cooling mattress topper. 2 What Is A Cooling Mattress Topper? 3 How Does A Cooling Mattress Topper Work? 4 Why Is A Cooling Mattress Topper Important? 5 Do Cooling Mattress Toppers Really Work? 7 How To Choose The Best Cooling Mattress Toppers? To understand a cooling mattress topper, you first have to understand what a mattress topper is. A mattress topper can be simply defined as an additional cushioned layer added on the top surface of your mattress. It can help in providing you with additional comfort and also serves to alleviate pressure, pain and cool your bed. Mattress toppers that help in cooling your bed are known as cooling mattress toppers. A cooling mattress topper or a pad helps in providing you a cool sleep throughout the night. It avoids building up of heat and reduces sweat. How Does A Cooling Mattress Topper Work? A cooling topper is a mattress pad that has a specific type of material and unique construction that makes sure that this pad can absorb extra heat. This mattress topper come with the gel-infused structure or sometimes has open cells to allow gas exchange to take place. Cooling mattress pads sometimes also have temperature regulation unit attached on to it, and this helps in flushing out the heat and allow you to have a moderate and cool mattress all night long. It is also important to notice that due to modern day technology the cooling mattress toppers are more advanced now and hence are more pricey. Why Is A Cooling Mattress Topper Important? Today’s cooling mattress topper makes use of a new gel technology that helps in dissipating the accumulated heat. This makes sure that no matter how hot you feel or how warm your body is, your bed will always be cool enough for you to lie down. By suppressing the heating up process of your body and your sweat, you can keep your body dry and cool all night long for good quality sleep. With a cooling mattress pad on you no longer have to worry about installing the air conditioner or getting it fixed. With these toppers, you can sleep regardless of what the season is because these mattress toppers are ideally suited for all seasons. This means that this cooling pad can help in regulating the temperature of your mattress according to the requirement of your body. Even in the scorching heat in the summer times, these mattress toppers will avoid any kind of overheating and thus prevent insomnia. With these pads, you no longer have to move away from your house to get better sleep at night. The coolness of the mattress depends significantly on the material used in the construction and manufacturing of the bed. The more premium quality material used, the more expensive the mattress will be. This can lead to the cost of the mattress being incredibly high. But grabbing a cooling mattress topper is cheaper than buying an expensive mattress with built-in cooling features. A cooling mattress topper does not sacrifice your comfort when you sleep nor does it place holes in your pocket so that you can have a comfortable sleep all night long. In addition to being less pricey, these toppers also help you cut back on your utility bills as they will decrease the usage of your fan and air conditioner. The best cooling mattress topper will make sure that you have a consistent and uninterrupted sleep all through the night and this can be great for your body and mind. Since these pads will keep you dry and cool, they can help get rid of you tossing and turning all through the night. These mattress pads can eliminate insomnia; the materials that make up these cooling pads are not only for providing you with a cool sleep but also provide you with extra comfort. Therefore, grabbing a cooling pad will help increase the comfort of your mattress and get you a better sleep throughout. Do Cooling Mattress Toppers Really Work? However, it is important to notice that no every cooling topper work for everyone. What this means is that most sleepers have different preferences from one another when it comes down to what they need to sleep ideally. For this reason, something that makes you sleep comfortably at night might not work for your neighbor or provide the same experience. Similarly, a cooling pad of your choosing may not cool your mattress the way you want it to depending on the various factors. These features play a significant role in the effectiveness of the toppers. By grabbing the best cooling mattress topper, you will get instant effects and the best sleep you can ever have. Make sure that your topper has a high-quality cooling material and also makes use of good airflow. The most essential thing to do before buying a cooling mattress topper and making sure that your money does not go to waste, you have to research it thoroughly, filter out the top cooling toppers present in the market. Cross check the requirements and features they have with what you are looking for before you spend out your money. With modern day technology, cooling products have become more advanced and come with more elaborate and extensive cooling features that make them perfect for multiple circumstances and situations. There are, however, three common types of cooling pads depending on their cooling features and properties. These cooling mattress pads come along with an additional cooling accessory such as a fan attached to them. In order to make sure that these cooling mattress pads function properly, this accessory must be attached to them. The best part about these cooling pads is that the range of temperature on these toppers is incredibly wide; you can easily customize the temperature to your required level of coolness and drift off to your sleep. Similarly, these pads also help in providing you with a warm effect in the harsh cold winters. When it comes to cooling down your bed, these cooling toppers are great. However, these pads have a drawback, they are expensive, and they also need a consistent flow of electricity to help keep you cool at night. Thus increasing your utility bills. These cooling toppers are different than active cooling toppers. These are your typical get infused cooling toppers and make use of a patented technology produced from unique gel-infused materials. The infused gel in these cooling toppers helps in trapping heat and then transferring it to the exterior area of the pad. Since these gel infused pads are made with the highly ventilated material, they make sure that the heat trapped is transferred and the excess heat is sent out to your environment keeping you comfortable and cool throughout the night. The main advantage of such toppers is that you do not require any additional cooling product such as a fan or energy source to keep your bed cool. They also help in keeping your utility bills down and allow temperature regulation all through the night. As compared to active and semi-active cooling toppers, these semi-passive cooling pads need to be frozen first before they can function properly. Refrigerating these pads help in removing the heat these pads have accumulated and replaced it with cooling effects so that your sleep is calm and comfortable. But these pads have a drawback; the cooling of these pads does not last long and refrigerating these pads can cause a little hassle. How To Choose The Best Cooling Mattress Toppers? When choosing the best cooling mattress topper for your bed, you need to look at a lot of features before spending all your money. Many companies come with endless of options when producing cooling mattress toppers, and due to this, you may buy a mattress pad that may not even suit you or have the right amount of information. But finding the perfect cooling topper should not be a difficult task especially if you are aware of what your requirements are. This is the most important thing to focus on when selecting yourself the best cooling mattress topper. The material of the topper has a direct effect on the durability and also its breathability, comfort level, and texture. There is a wide range of materials to choose from when it comes to mattress toppers, but the most common and popular ones are gel-infused memory foam, wool, cotton, and latex. Wool mattress toppers are great for warm months as they have high absorbent qualities and absorb your sweat and heat to keep you warm. Cotton toppers are incredibly thin and very durable. They can be easily washed in your machine. Latex toppers are extremely aerated and play a huge part in providing you with cool airflow and temperature regulation. The best part about latex material it that they never change its shape and form no matter how high or low the temperature gets. Gels infused memory foam are ideal for temperature regulation. Gel absorbs high amounts of heat and holds it before it starts to heat up. This heat is then released away from the mattress topper into the surrounding. In summary, latex and gel-infused memory foam are the most popular and ideal options for a mattress topper for cooling. They ensure that ventilation remains open throughout and there is proper circulation of airflow. Cooling mattress toppers come with unique and different density rating, and this has an effect on their cooling abilities. The density also has a direct effect on the comfortability of the pad. A very dense mattress topper will hold up more heat since it will not have proper airflow and this will cause it to heat up. A low-density pad, on the other hand, will be considered an ideal mattress topper since it will regulate temperature and have proper airflow; a low-density mattress pad will prevent overheating and keep you cool all night. But you also have to keep in mind that a dense mattress pad is firmer and thicker and so does not allow you to sink; if you have a heavyweight and suffer from back pain, then a dense mattress pad is the one for you. It helps in providing you with extra support and proper back alignment. The density of a mattress topper depends on your requirement. Firmness also plays an important role in keeping you cool all through the night. The thickness of a mattress topper will determine its level of firmness and hence the level of sinkage. If you opt for a softer topper then you will have more sinkage; as a result, the material of the pad will get wrapped around you, and this will make your body heat up. Similarly, a firmer pad will not allow you to sink in and won’t wrap itself around your body; due to this air will be able to circulate easily in between your body and your pad. This will create a cooling effect and fight with heat issues. When shopping for the best cooling mattress topper, it is vital that you read out the reviews of customers available on the page. Make sure you focus on the feature you are looking for and read the feedback people have given. You will also find out if the topper you have set your eyes on is worth buying and will it satisfy you or not. A good cooling pad should have positive reviews; however, keep in mind that sometimes what works for others won’t work for you since everyone has different preferences. 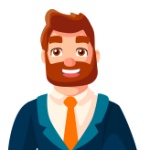 So take help from these customer feedbacks but also research yourself; visit renown sites and read their reviews on mattress topper. Take help from our topper ratings and find out which topper is most suited for your need. Sleep Innovation is a four-inch pillow top mattress topper and works perfectly for back, stomach and side sleepers. It comes with a double layer that can be easily washed in a machine and both layers are joined together to help provide you with long and comfortable sleep. The cooling gel-infused memory foam present in this topper aims at contouring around your body shape and is designed to fit everyone’s need. It is designed by joining two inches of fiber with two inches of gel-infused memory foam and hence provides support and excess pressure. This topper provides the feeling of sleeping on a large and fluffy pillow. It stays intact and has cooling properties. It keeps the temperature regulated so that you have a long and restless sleep. This topper is great for people with back pain and for users who tent to sweat a lot. Since it is designed to match your spine’s natural curvature, it helps in keeping your alignment just right. This topper, however, does not make your mattress firmed. Instead, it makes your mattress softer. This mattress topper is built to last. It consists of three inches of high-density memory foam infused with gel, and this helps in alleviating the pressure point and protects you all night long. The heavier the foam is, the longer is the foams durability. The ventilated design of this mattress topper helps in improving the airflow and creates a more restful and cool sleeping environment. The memory foam in this mattress pad is made with the plush gel material, and it helps in controlling your body temperature and trap heat. This topper has a breathable and soft cover, and both of it is made with slip-resistant mesh. This cover of this topper can be removed and be washed in a machine easily. This innovative temperature-controlled mattress topper helps in balancing heat and provides you with a quiet sleep all night long. It has no odor when it gets unpacked. This ExceptionalSheet mattress topper is designed to help refresh your sleeping experience. This mattress topper can fit a mattress that is 18 inches deep. This cooling mattress topper is made from plush rayon and aims at providing you with a comfortable sleep due to its breathable and soft material. This topper is made from premium quality fiberfill and does not contain feathers or any other allergies. It aims at protecting your sleep and getting rid of insomnia. This mattress pad is compatible with memory foam mattress as well as latex and innerspring. The breathable material on this pad helps in temperature regulation and cools you down. Customers should make sure to go through the instructions that come with this mattress such as washing it only with cold water. Also, wash this pad with high capacity washing achiness only. You do not have to use softeners with this mattress pad. This mattress topper is another best cooling pad for a comfortable sleep all night long. This pad tends to add a higher level of support due to its two inch of gel infused memory foam. 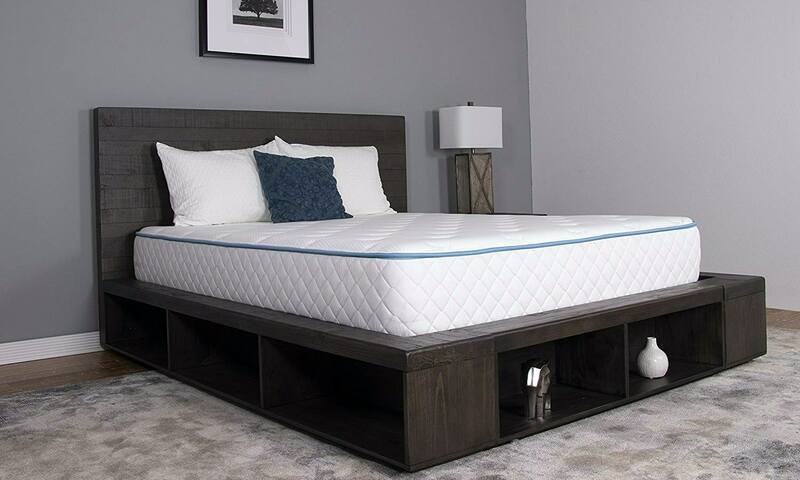 The memory foam in this mattress topper is specially designed to lessen pressure, contour to your spines alignment and reduce motion transfer while sleeping. This cooling mattress topper also tends to engage all your muscles. Its open-cell technology is designed with a gel mixture and prevents building –up of heat. It’s aimed at providing you a cool sleep throughout the night. With its open structure design, this mattress tends to be very breathable and improves airflow, regulates temperature and also reduce the level of stiffness. With its anti-sinking design, your spine alignment stays fit, and its minimal motion transfer focuses on providing you with long and disturb-free sleep. Leisure town mattress topper is packed inside a mattress box, and it must be washed for a few days before you use it in order to get it inflated to its original size. This cooling mattress topper is made with HNN cooling technology and this in term focuses on providing you with a plushy and soft feel all through the night. This mattress pad tends to focus on increasing your comfort level and protects your body from excessive heat and sweat. The construction of the mattress foam is such that it is protected from stains as well as from bed bugs and dust mites. It is also protected from allergens, and so the user does not sneeze or cough during the night disrupting their sleep. The cover is made from 100% pure cotton and can be easily wiped; since the material of the mattress is thick, the fluid that you spill on the mattress does not get soaked inside. 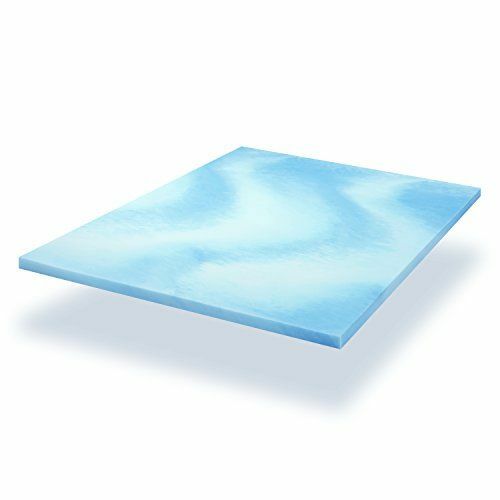 This foam mattress topper can fit and stretch itself; it can be used on top of mattress up to 21 inches. This mattress remains in a single place and does not move. It is easy to clean it up and wash it making it all the better. Mentioned above are the best cooling mattress toppers that we found on the market, according to their price point and functionality. However with the advancement made in technology, these pads have started to come in new designs with a cooling mechanism attached to these pads. Some of these toppers are fitted with built-in fans that blow cool air towards your body, and some depend on a new technology known as Outlast. Whatever topper you buy, make sure that you research them well enough before spending your money.